Are You Ready for the iGen's? For me, August means back to school preparation for my high school entrepreneurship class which includes researching the latest data on the mindset of this age group. Reading the Beloit Mindset List and researching other articles helps me understand the influences new students have experienced while growing up. 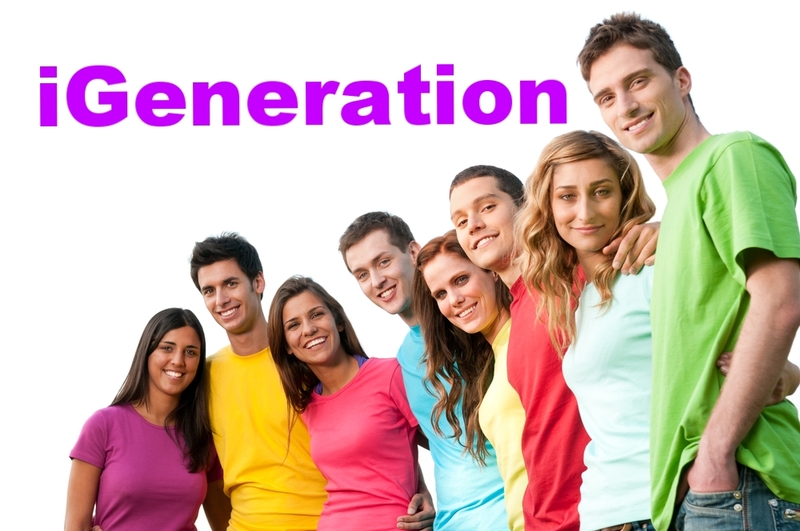 My research on the iGeneration or Generation Z (currently 16-22 years of age), has yielded some interesting findings. Listed below are the eight that were most interesting to me. They are tech-talented and spend 9 hours per day on technology. That is more time than they have with parents and teachers. They have always had a cell phone and been on Face-time. Their attention span is estimated at eight minutes. A 2015 study found that, “the percentage of high school seniors who read a non-required book or magazine nearly every day dropped from 60% in 1980 to 16% in 2015. They are risk-averse – they have been overprotected because of kidnappings, Amber alerts, Columbine and live in a society of terrorism. This means they will be more conformist and pull together as a group. They lack people skills because of less face-to-face interaction with people and friends. They will need help developing soft skills. They were impacted also by the Great Recession of 2008 and saw their families struggle. Benefits will be important to them. They are multi-cultural and workers who speak the same language may be more likely to associate with each other. They go to church more than other generations. Social justice and causes matter to them. In the next blog, I will discuss ways to train and teach the iGens. Jeanne Dau, MBA, CEDFP, is the President of Dau Consulting. For the past 25 years, she has coached hundreds of organizations on strategic planning, business development, sales, marketing, customer service, leadership, innovation and entrepreneurship. She has started and managed four successful businesses and has also directed business outreach departments for two universities. Jeanne is certified in many training programs and has been involved in the tourism industry and entrepreneurship education. Many books and hundreds of articles have been written to address what makes good leaders. Basically, good leadership is the ability to influence and impact others in positive ways to bring good results for themselves, their organizations, their communities, and the world. What makes a leader successful? We can all be leaders but to be conscious about our intent and actions makes the difference. 1. Successful leaders know themselves well and what they bring to the environment in which they operate. They have values in which they believe and those values drive their behaviors. These leaders “walk the talk” and are in real alignment with their purpose and actions. 2. They take the time to know and understand others. They create an environment of safety, respect, appreciation of difference, and a sense of fair play and fun. Encouraging others to feel free to do their best and redirect them when needed in respectful ways is key for influencing positive results. 3. One may think that successful leaders are visionaries and that would be true. They look at the possibilities and not just the present; futuristic thinking is the modality. Questions are raised and limitations are put aside. To that end, leaders then align their goals, objectives, strategies, action plans and teams to enable them to focus on the vision. They are able to easily identify potential problems as well as positive patterns and trends. 4. Direct action is the clear indicator of moving forward as a successful leader. Acting decisively once the plan is in place will bring about the needed progress. Leaders also determine how the plan will impact customers, employees, stakeholders, and anyone else involved in the organization. It is an integral part of the plan to consider the short and long-term perspectives of any work. 5. Leaders do not act in isolation; they engage their team by serving others—understanding their motivation, what their desires and goals are and meeting them where they live in order to influence the team and drive its members to greatness. This behavior is genuine and powerful. It is in alignment with the value of respect for others. Positive energy and the ability to focus on the possibilities engender excitement and enthusiastic work, creating high energy teams who get the work done efficiently and effectively. Considering your position in your organization—are you a successful leader? Do you spend the day reacting or creating positive action? How can you become the most successful leader of your team and within your organization? Dr. Ann Beck, entrepreneur, former nonprofit executive and corporate trainer, has more than 30 years of training and management experience in: leadership development, strategic planning, critical thinking, conflict resolution, coaching, team-building and fund development. She is currently the President and Co-owner of Flesor’s Candy Kitchen, a 2014 Martha Stewart American Made Food Finalist. She has helped raise funds and developed fundraising strategies for the Mattoon Area Community Foundation, Eastern Illinois TRIO program and the University of Illinois College of Education. She resides in Charleston with her husband Roger. We're celebrating Dau Consulting's third anniversary with a new look starting with a new logo! The old logo was fine, but in these past three years, we have moved away from marketing research and are focusing on social media marketing, training and strategic planning services. Sometimes a new logo represents a new age or focus for the business. Here is the process that Jade and I followed to find the new look that you see on our mastheads and FB covers today. 1. Do a Google search on images of your competitors. We googled marketing and design companies and noticed the use of multiple colors we assumed symbolized creativity. Many however, were too hard to read or had elements that took away from the main logo. 2. Think about color. Did you know that every color evokes a certain emotion? What emotion do you want your clients to have when they see your logo? If you want them to trust you, then use blue. If you want them to feel royal and special, pick or purple. If you want to evoke an immediate response, then use red. 3. Go for Minimalism. The more simple the logo the better. Only use artwork if it helps to tell the story. We decided to get rid of our graphic and add color to the name to represent the new ideas and creativity that Dau Consulting can bring to clients. 4. Ask everyone you know what they think. Conduct informal focus groups and ask everyone you see which logo they like best. I printed off a page that I kept in my purse that had the old logo and the final two ideas for the new logo. I would pull it out at luncheons, classes and family gatherings and made sure I heard opinions from people of all ages. Dau Consulting has used male consultants on different projects, but the core group is composed of the lovely women in the picture above. One said, "We can't use these group shots, it will show that we aren't diverse." I thought about it for one quick second and said, "We are diverse, maybe not in gender, but in thought." According to our True Colors Personality Preference Assessments, we are composed of three right brain dominant, two left brain dominant and one quad brain thinker. The best teams usually have a mix of thinking preferences so they analyze each problem from different angles to come up with the best solution. The picture above is what I have deemed the "leaning in" picture. Some of these women have been leaning in and taking a seat at the table for decades. They have started businesses or risen through the ranks in education and are mentoring the younger ones in how to succeed in business. The younger collaborators are learning from these mentors and teaching social media skills to the digitally challenged. If you haven't read Sheryl Sandberg's book, Leaning In, I advise you watch the Ted Talk, Why We Have Too Few Women Leaders. It is a great summary of why women need to promote and support each other in the workforce. Dau Consulting is 100% women owned and proud of that fact. Happy birthday to us and to many more! We all know that change is a constant and that most people resist it, but, as a leader, it is critical to engage and even inspire your team to make the most of change. As a leader of change, it is important to exude consistent positive energy and make a conscious effort to model the behavior needed to forge ahead. 1) What exactly is going to happen? Be able to communicate clearly and quickly what changes are expected for the team and the organization. Accentuate the possibilities and discuss the “whys” if possible. Everyone likes to know what is going on and that helps to mitigate rumors and negative energy. 2) Enable folks to provide input and feedback. Expect resistance and validate any concerns, once again, articulating the “whys” and tying them into the overall business mission. 3) Develop a plan for rolling out the changes and include your team in the process even if it is just providing information. 4) Determine what role each team member will play and tie that into the big picture. 5) Meet periodically to “check in” with your team and continue to answer questions, respond to resistance, and encourage their participation. 6) Model the behavior; be part of the effort to roll out the new and integrate it into existing work plans. 7) Celebrate any milestones that are evident and reward those who are fully engaged in the success. Change can be upsetting and scary for some and exhilarating for others. A good leader recognizes the signs and is able to facilitate change in ways that can be beneficial for the team, customers, and the business. 1. Communicate – If, during the crisis, you promised to provide follow-up information, it is time to do so or risk losing the trust of those who requested the information. This might be a consumer of your organization, a member of your board, or someone affiliated with the media. If the information is best conveyed via print materials, they can be sent through the US mail or, better yet, delivered personally! Email messages and phone calls are also effective communication mediums. o Could we have recognized the impending crisis earlier? o Did we follow our crisis response and crisis communication plans? If not, why not? o How effective was our response? o Were the right people in the right roles on our crisis response team? o What could we have done differently? o How can we better prepare in the future for a similar crisis? Incorporate the results of your evaluation in your crisis communications and crisis response plans. 3. Document – Make sure to document what happened before, during, and after the crisis. If a similar event happens in the future, such a record will be an invaluable resource to help guide the actions of you and your crisis response team. 4. Copy – You may find yourself in the midst of a crisis at any time of day or night! To ensure that you are prepared, make sure that you and every member of your team has a copy of your crisis documents both at the office AND at home! This will allow you to effectively manage the crisis without wasting valuable time retrieving these resources. A HIGH five to you! You are now prepared for any crisis that comes your way! Last time, we learned about the importance of having a crisis communications plan to help you and your organization respond to a crisis. However, you can be even more effective in managing a crisis if you carefully prepare for one! How does that work? Begin by identifying your organization’s major risks or threats with a group of key employees, volunteers, and supporters. Major risks or threats are those that that potentially can have a major impact on your organization’s governance or operations. What could those be? You lose a major grant. A key staff member leaves. Your building burns. A staff member is accused of misconduct. The economic or political climate is unstable. Your organization is in violation of an existing law. All of these possible scenarios can impact the way your stakeholders and the public view your organization. Once you have identified a list of possible crises, the group can then brainstorm what would happen to the organization were the crisis to take place. What would be the impact in terms of money, assets, reputation, staff, clients, and volunteers? How could these impacts be best managed? The outcome of this exercise is the beginning of a comprehensive crisis response plan. Next, it is time to formulate a crisis response team. This is the team that will coordinate your organization’s response to a crisis. Typically, the crisis response team is composed of 5 – 7 people depending on the size of your organization, the nature of your services, and your organization’s experience in responding to a crisis. · Someone who has the authority to make decisions for the organization. · Someone who will be the official spokesperson with the public and the media. · Someone who has legal expertise. · Someone with financial knowledge. · Someone who can manage the details involved in the crisis response. · Someone with knowledge of your facilities. Once you form your team, it is absolutely essential that the team is trained BEFORE a crisis hits. This is your action team, your feet-on-the-ground first responders. They must internalize all of the “what ifs” so that they will be able to think on their feet calmly and rationally. Brainstorming all possible crises that might impact your organization, developing a set of response strategies, and training your crisis response team on the implementation of those strategies will allow your organization to survive a crisis. Are you prepared for a crisis? If not, I urge you to begin that process TODAY! As winter lingers, do you find yourself just going through the day-to-day motions? Winter always moves me into much deeper reflection and even though my husband warns, “Don’t think, it hurts the team,” however, it is smart to reflect on what you want to get out of life. That brings me to the question, what is your mission? Why are you here right now and how are you contributing to your world? Touchy feely stuff? Absolutely, but consider it. What is the essence of who you are and what you do? Stephen Covey, of Seven Habits of Highly Successful People fame, challenged us to articulate how we want to be remembered. What is your legacy? It does not have to be hard. My job is to help create positive change and empower others to make their lives the best they can be. So how can you empower yourself every day? You can think about it in the morning and determine how you will behave during the day. For instance, my sister and I are expanding our confectionary business, and that process is a huge change for our employees and us. So we have made a concerted effort to keep everyone informed about the addition and giving tours of the new space. Those seeming simple efforts allow everyone to be part of the change in positive and inclusionary ways. It is empowering for all of us and, as a result, we are really excited about the next phase of our business. You can think about what your life mission is and what you may need to change right now to help be in alignment with that goal. If you want to be a real leader at home or work, what does that mean? How can you be a better problem-solver? How can you handle difficult discussions more readily? How can you not be so quick to anger and be calm during distressful times? How can you be proactive with meaningful thought behind your actions? Take some time and think about your real mission in life here and now. It will help, not hurt the team. You made your resolutions, you were motivated, and you had that end goal in sight. But whoa, where did those good intentions go? Research shows most people who make resolutions end up abandoning them within six months. Did you fall off track already? Keep your mental picture of the results you want front and center in your mind. Understand that your subconscious is only interested in making sure that you're right. Lou Tice would say we move in the direction of our dominant thoughts. So how do we get there? First, write them down. A 2015 Dominican university of California study of 149 adult showed that 61% of the people who wrote down what they wanted to accomplish over the next four weeks were successful. When you write your resolutions be sure to write the goal as though it's already happened. Write it in the first person, positive terms including emotion. For example: I feel great working out 3 times a week. Second, when you're reading them it is important to mentally picture what it's like when you reach that goal and feel what that feels like. The brain responds to emotion, strong emotion sears a pathway in the brain. if you can feel it you can do it. For example one of your resolutions is to exercise regularly. What does that feel like? When you finish a good workout and pump your hands up and say YES, can you feel it? When you read this resolution you need to have that feeling of YES as you envision doing this. Third, read them at least twice a day. The more you read and feel them the stronger that picture is in your brain. Once your subconscious catches on that this is the reality you have in your mind it will aid you in finding ways to make those pictures real. Among our Dau Consulting group, it is my turn to share strategies and consulting tips, but let’s be honest, it is time for those New Year’s resolutions! Some of us make them with great intention and conviction, and some of us know there is no way we are going to keep them past January 2nd! So how can we make the change we really want to become? 1) GIVE UP - If you absolutely refuse to even participate in change, you “give up” your power to engage in your life’s events, and the only choice is to respond to whatever happens; “If I don’t play, then I don’t lose.” That sounds like a safe place to land, but does it make sense? Change is the constant, yes? 2) HAVE TO - You can determine that any change is a “have to,” and the consequences will perhaps be negative if you don’t make any effort to move forward. This may get you going, but sustaining any lasting positive change may be more difficult because you feel forced. 3) NEED TO - Needing a change places your aims in a more powerful place because you can make a choice, but again, it can be difficult and not sustainable. That little voice inside your head will be there nagging you to keep going or chastising you if you don’t. Not fun either way. 4) WANT TO - Choosing with power to do whatever you really WANT to do will be more likely to ensure success. A conscious choice to honor yourself, your values, and your true convictions will allow you to keep any and all resolutions made. Because despite the urge to not make that list, we all know that the list is made. Be the change you want to make. For example, if losing weight and being fit are really part of who you are and your values, affirm “I am healthy and fit.” If being financially solvent is where you want to be, then make “I am fiscally responsible and in charge of my wealth” your mantra. Think about what makes real sense for you and then write some goals around your statement. What does it take to be healthy and fit? How can you become fiscally responsible? Remember the SMART goal process: Specific, Measurable, Achievable, Reasonable, and Time-Based. Plan new daily menus for a month and stick to them. Plan to exercise twice a week and perhaps three times a week for a month. Do not plan to starve yourself immediately and train for a marathon if you have not done anything like this before! We all know this, but we go crazy in our effort to change and renew. Choose change because you value yourself and the great impact you have on the world. Develop goals and a plan that makes real sense in which you have the power for real, positive, and sustainable change. What changes have you made for the new year? What motivates you? Happy New Year from all of us at Dau Consulting! Ann Beck, Ph.D., is a Certified Professional Coach (CPC) and Energy Leadership Index – Master Practitioner (ELI-MP) through the Institute for Professional Excellence in Coaching, an internationally recognized coaching program. 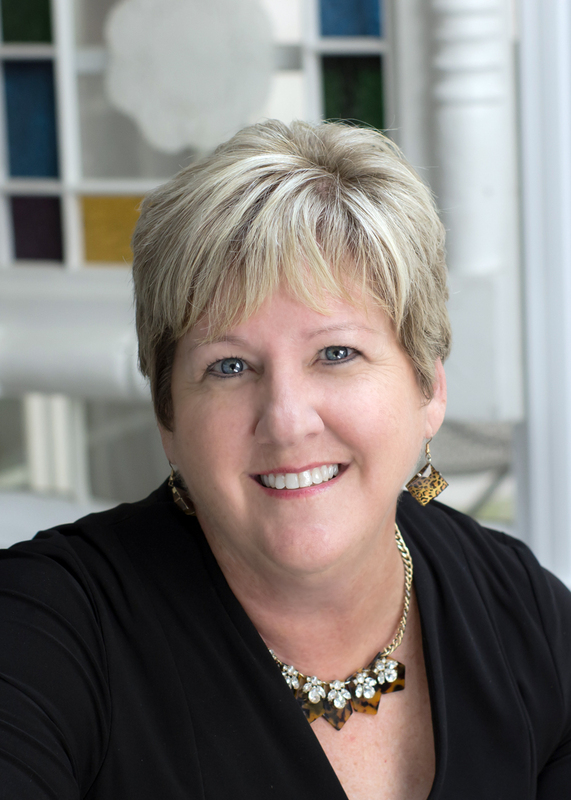 In addition to coaching, Ann has been a managerial consultant for over thirty years working with clients ranging from Fortune 500 companies, nonprofit organizations, and public and private universities. She is also the President of Flesor Family Confectionary, a small business nationally known for its great family history and sweet treats. Are you concerned that your Board does not work as effectively as possible? Do you find that your Board members are not as engaged as you would like them to be? If you answered yes to both of these questions, the establishment of board committees might be the answer to your problem! 1. What is the advantage of developing committees? a. It divides up the work of the organization so that it is not all placed on the shoulders of the Executive Director. b. It removes lengthy discussions from the regular board meeting agendas, replacing them with committee recommendations to increase meeting efficiency. c. It allows for broader participation from all board members, not just those who are most vocal or most engaged. d. It ensures that the talents and knowledge of all board members are used in the best way possible. 2. What committees should be established? a. An executive committee, consisting of the officers of the board, is charged with taking action, on behalf of the board, between meetings. b. A finance/budget committee is charged with developing an annual budget, in conjunction with the Executive director, and reviewing investments. c. A program/planning committee is charged with overseeing the organization’s activities and strategic direction. d. A nominating committee is charged with recruiting new members, evaluating the performance of current members, and developing a slate of officers. f. Other committees can be established as appropriate for the organization. 3. How do the committees work? a. Develop a charter for each committee that outlines its responsibilities, its authority, and a timeline of work. b. Provide the committees with timely and appropriate information so that they can accomplish their work. c. Choose the appropriate staff person to work with the committee, i.e. the finance director works with the finance/budget committee; the development officer works with the fundraising committee. If the organization has a small staff, the executive director may be the most appropriate liaison to all committees. d. Identify a committee chair who understands how to lead a group and arrive at consensual decisions. e. Select committee members whose experiences and skills will facilitate the work of the committee. Are you working with board committees? What is working well for you? What would you do differently? The other morning, before heading out the door for work, my wonderful husband hit me with vacation decisions to be made for a January get-away—not such a big deal, but when I was driving out of town, I got behind two inexperienced and VERY slow drivers, so I hit every red light. Then the farmers and their big equipment were on the road holding up multiple cars, including mine. When I got to work—finally—I received word that two staff had called in and I would have to put aside my “to do” list to take on their work for the day. Whew! It was bad enough that I felt rushed to get there, and now I would be behind all day. Ever had one of “those” days? Of course you have—we all have them, but it is how we roll with the minor or major roadblocks in our way that makes a successful day. It all begins with how we literally show up for work. I could have stayed in a low level of energy, feeling sorry for myself, a bit victimized, and somewhat overwhelmed by the building blocks of frustration. And I could have taken that energy and been rude to my co-workers and customers, and then my husband when I got home. Or I could have moved into a better level of energy—one that is positive, rational, and generative. For instance: it was so lovely for my husband to be planning a get-away in January after a very busy season in my work life. Why should I be mad at that? And hopefully, the two young drivers will gain that good experience they need to be safe on the road. I remember when I first started out! And how lucky are we to be living in one of the world’s best agricultural regions? Farmers are my customers. We love them. And it is sometimes good to “let go” and see what jobs my employees do. If that all sounds like too much happiness for you, think about it. Bad energy is contagious, it lowers productivity, it damages relationships, it can harm your customer relations. How do you show up for work? How can you access that emotional intelligence, move through conflict with ease, and determine what is really a problem or not in a rational and thoughtful way? Something to ponder while you are waiting at the red light in a hurry to get to work. Ann is a Certified Professional Coach (CPC) through the Institute for Professional Excellence in Coaching, an internationally recognized coaching program. 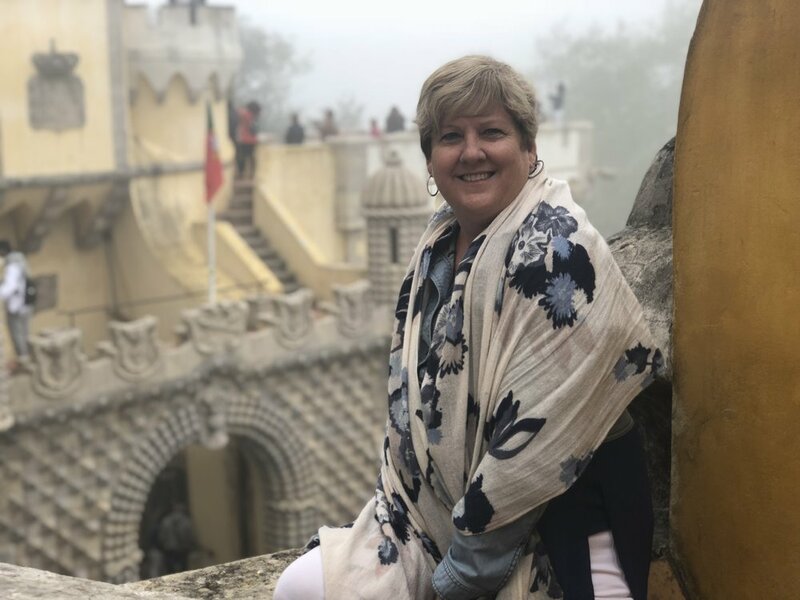 In addition to coaching, Ann has been a managerial consultant for over thirty years working with clients ranging from Fortune 500 companies, nonprofit organizations, and public and private universities. She is also the President of Flesor Family Confectionary, a small business nationally known for its great family history and sweet treats.